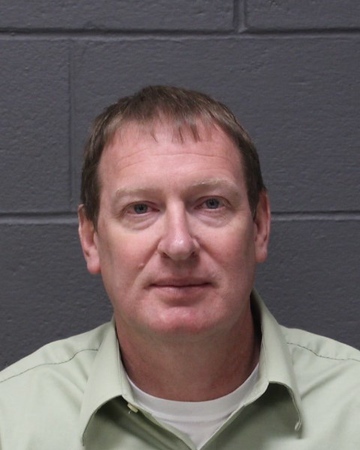 SOUTHINGTON - A Massachusetts man accused of trying to meet up in Southington with someone he met on an online dating site, who he thought was a 14-year-old boy, is unlikely to be prosecuted. Carl Bezo, 50, of Westfield, Mass., applied for Accelerated Rehabilitation - a first-time offender program - Tuesday in Bristol Superior Court. The program, should it be granted, could require him to serve up to two years on a pretrial form of probation with the understanding that, if he stays out of trouble, the case against him would be dropped. Further, state prosecutor Elizabeth Moseley said Tuesday that Bezo’s attorney would have the right to withdraw the program application - allowing him to apply in the future should he ever be arrested again - if she reviews the case and finds that she would not be able to prove his guilt after a trial. Bezo, who is free on $50,000 bond, is due back in court on Aug. 24. He had previously applied for a different program but was found to be ineligible. According to the arrest warrant, Bezo in September began chatting with someone through an online dating site who was an adult posing as an underage boy. The man is part of the POP (Prey on Predators) Squad, a local group that has been responsible for numerous other arrests in the area involving similar allegations. Bezo, police allege, communicated with the POP Squad member, who goes by “Incognito,” for several days. During the conversations, Incognito said he was only 14 years old, which Bezo said he didn’t have a problem with, according to the arrest warrant. The two allegedly exchanged photos before eventually agreeing to meet at the WalMart store in Southington on Sept. 28. The encounter was recorded and shows Bezo acknowledge what he was doing was wrong, according to the warrant. However, during their interaction, he denies ever intending to do anything besides talk and get dinner with the fictitious juvenile. The video of the encounter and the chat logs between the two were later turned over to police in Massachusetts and Southington. At the time of the allegations, Bezo worked as a custodian in a Massachusetts middle school. The day after the WalMart meeting, Bezo showed up for work at a middle school in Westfield, Mass., and was confronted by school officials about the video of the encounter, which was posted online. He was placed on leave and later fired. Bezo faces one count of attempted risk of injury to a minor. Posted in New Britain Herald, Southington Herald on Tuesday, 10 July 2018 12:28. Updated: Tuesday, 10 July 2018 12:30.